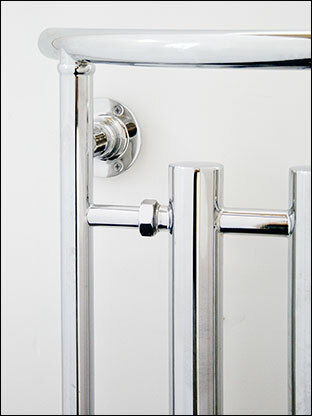 A brand new design in a style that is suitable for both contemporary and traditional bathrooms. 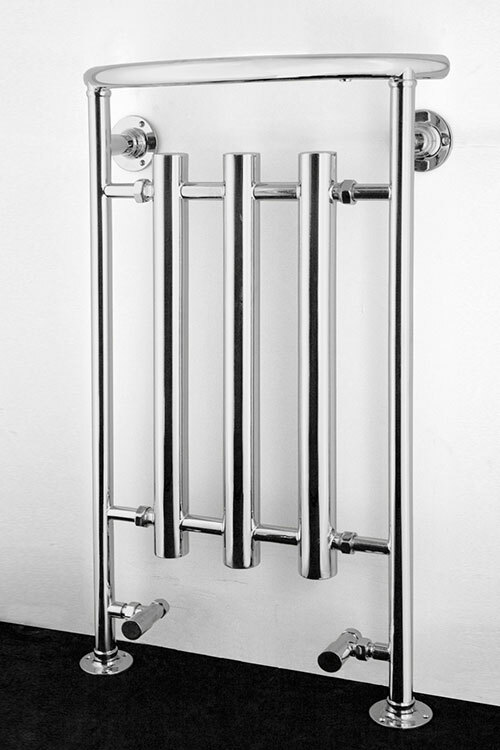 This heated towel radiator is British manufactured and being chrome plated onto brass, gives superior quality and longevity over chrome on steel alternatives. 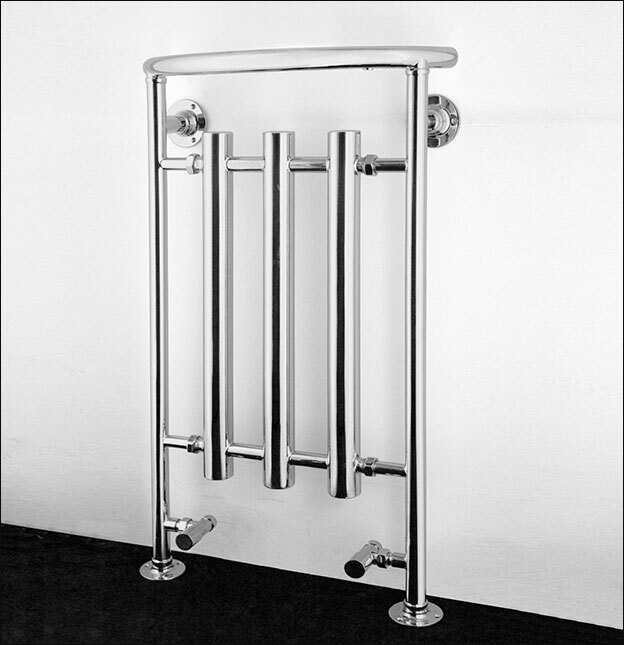 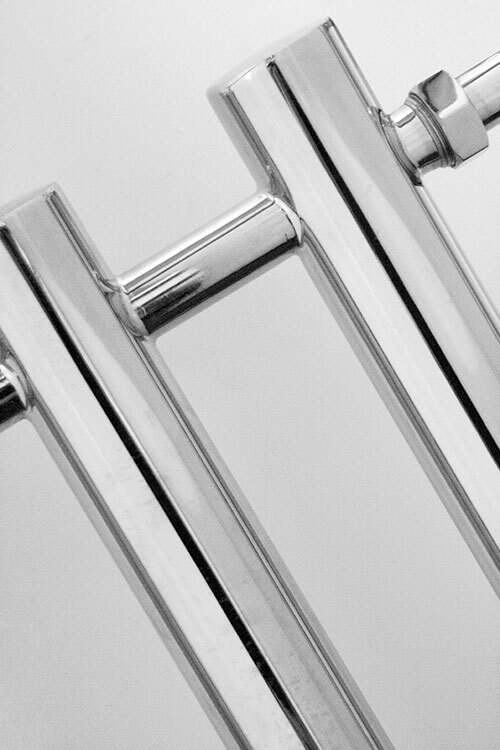 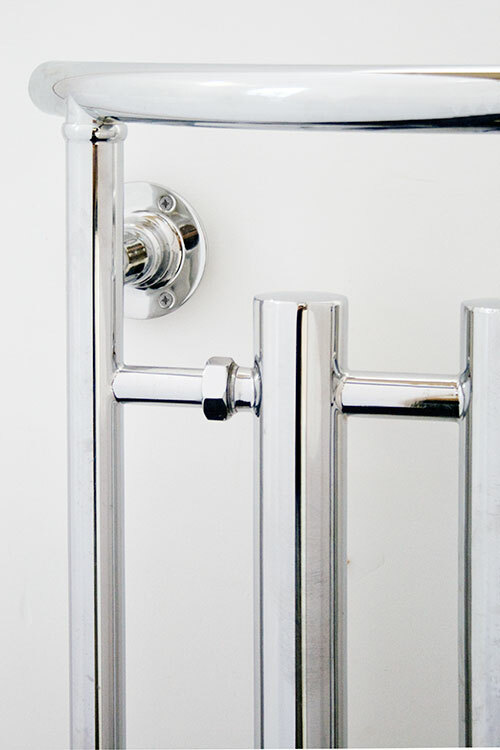 Each bathroom radiator is available in the finishes of chrome, nickel and gold with the option of being a central heating, dual fuel or electric only towel rail. 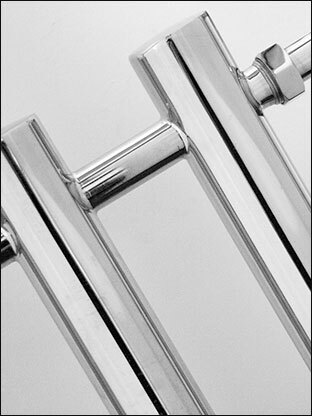 Dual fuel and electric only rails are fitted with hidden electric elements.